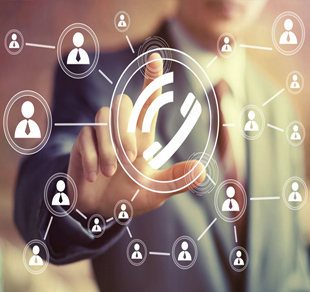 Internet telephony refers to communications services—voice, fax, SMS, and/or voice-messaging applications—that are transported via an IP network, rather than the public switched telephone network (PSTN). The steps involved in originating a VoIP telephone call are signaling and media channel setup, digitization of the analog voice signal, encoding, packetization, and transmission as Internet Protocol (IP) packets over a packet-switched network. On the receiving side, similar steps (usually in the reverse order) such as reception of the IP packets, decoding of the packets and Internet telephony refers to communications digital-to-analog conversion reproduce the original voice stream. Even though IP telephony and VoIP are used interchangeably, IP telephony refers to all use of IP protocols for voice communication by digital telephony systems, while VoIP is one technology used by IP telephony to transport phone calls.